Water is a hot topic in the study of exoplanets, including "hot Jupiters," whose masses are similar to that of Jupiter, but which are much closer to their parent star than Jupiter is to the sun. They can reach a scorching 2,000 degrees Fahrenheit (1,100 degrees Celsius), meaning any water they host would take the form of water vapor. Astronomers have found many hot Jupiters with water in their atmospheres, but others appear to have none. 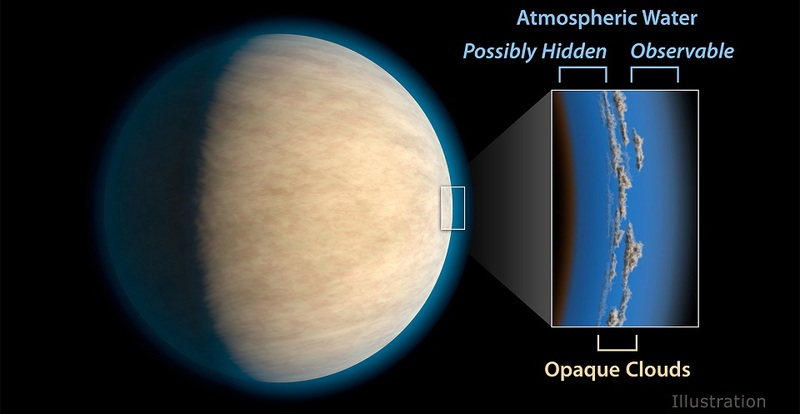 Scientists at NASA's Jet Propulsion Laboratory, Pasadena, California, wanted to find out what the atmospheres of these giant worlds have in common.